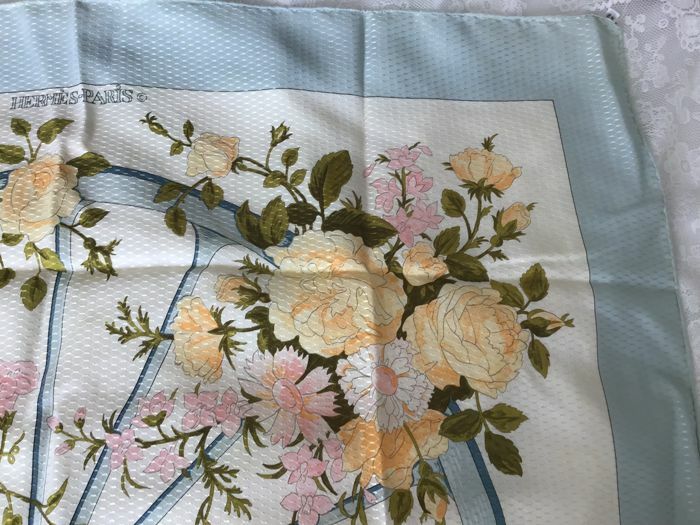 You definitely won't come by this scarf very often, as it is an original edition from 1973, and in perfect condition! 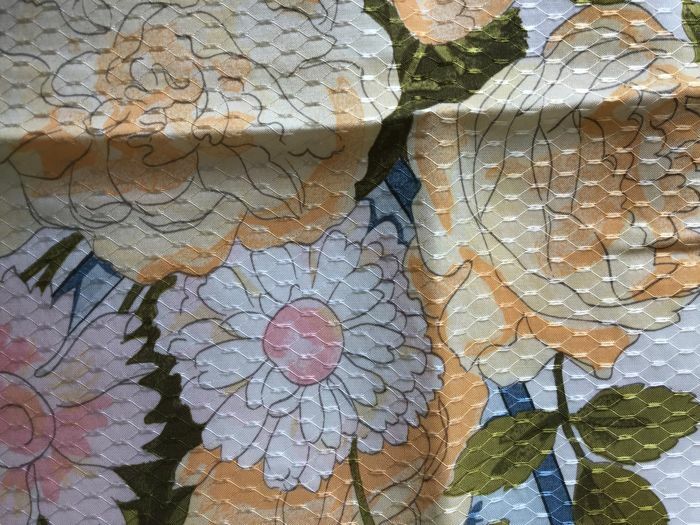 A one-time edition was released at a later date, but that one was not woven in jacquard. 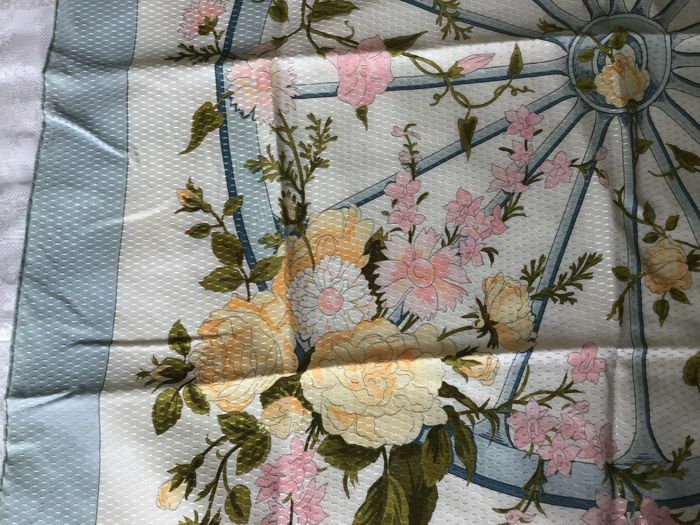 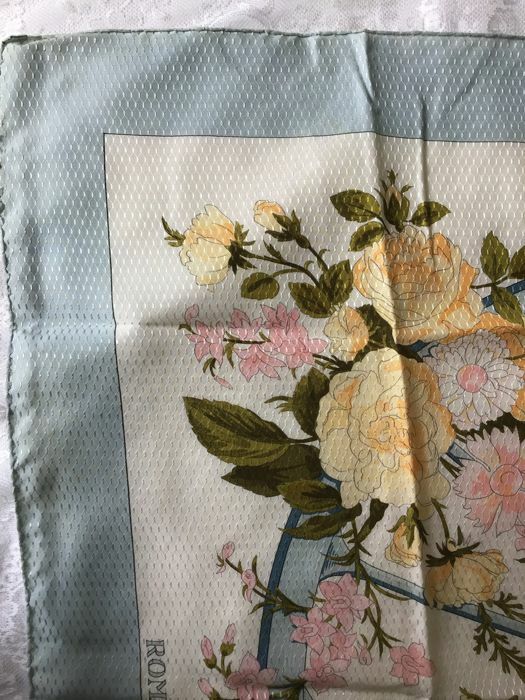 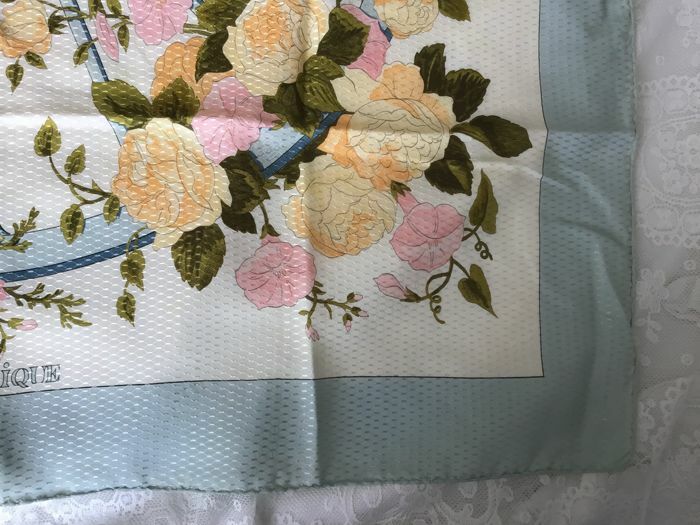 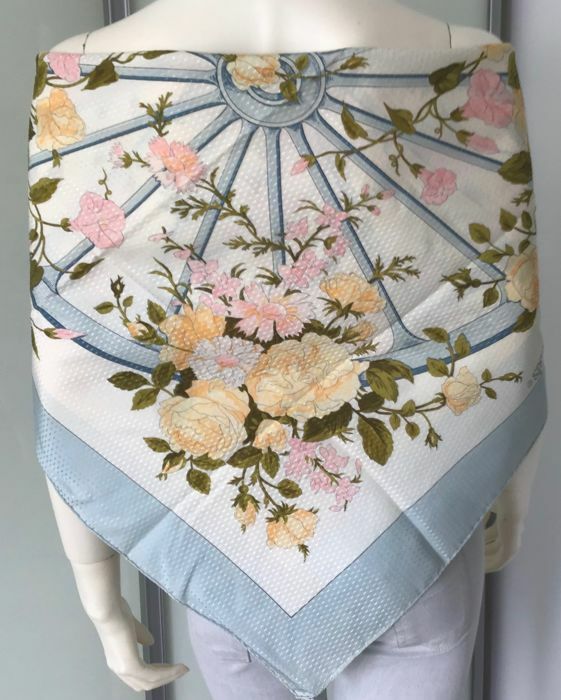 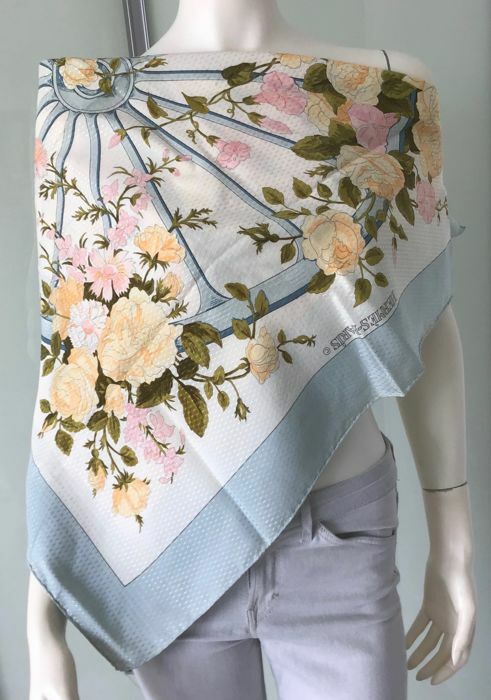 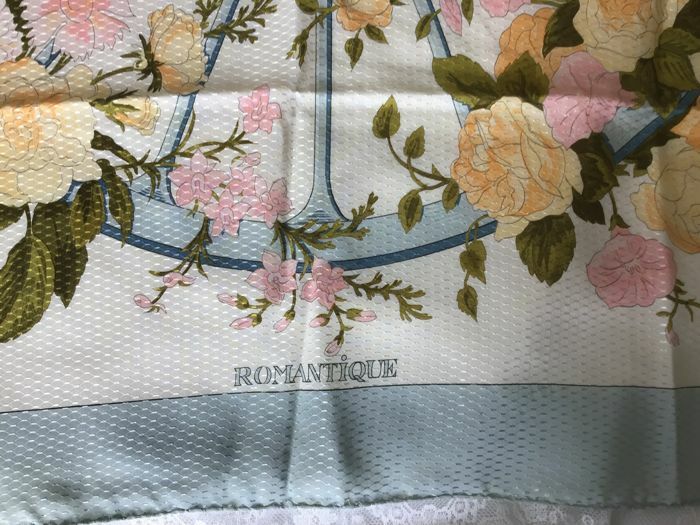 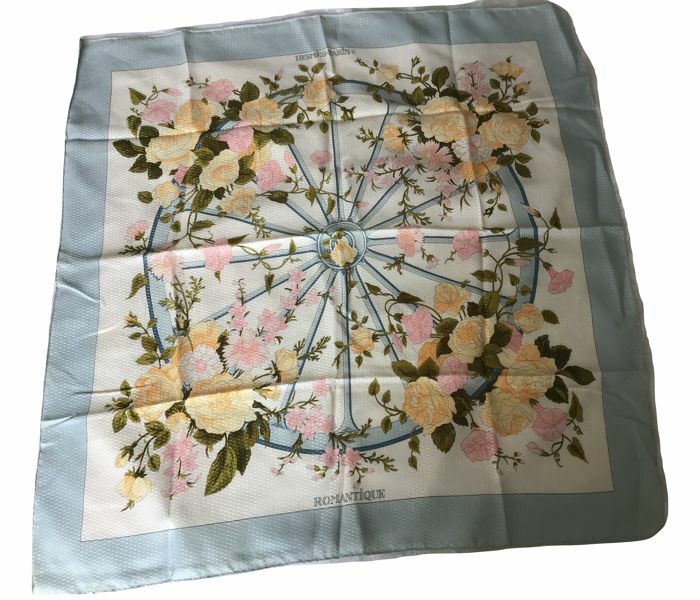 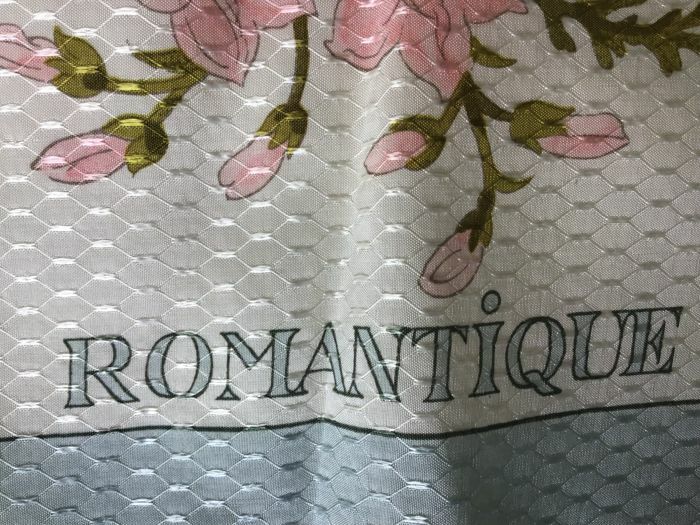 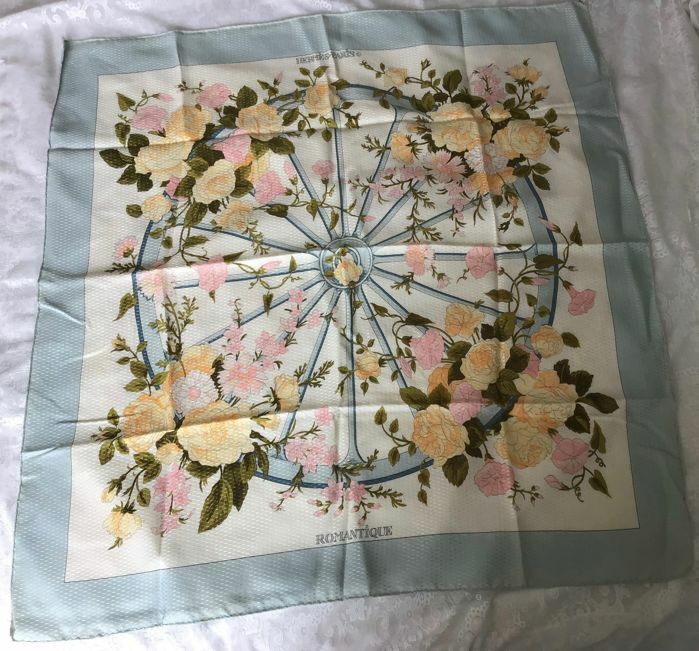 This wonderful scarf with magnificent pastel shades is a joy to behold, designed by Maurice Tranchant. 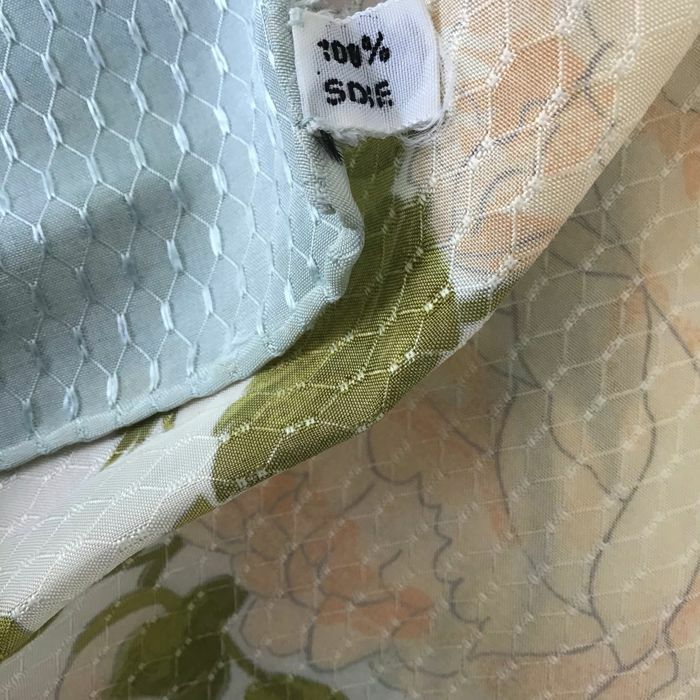 Still has the original tag. 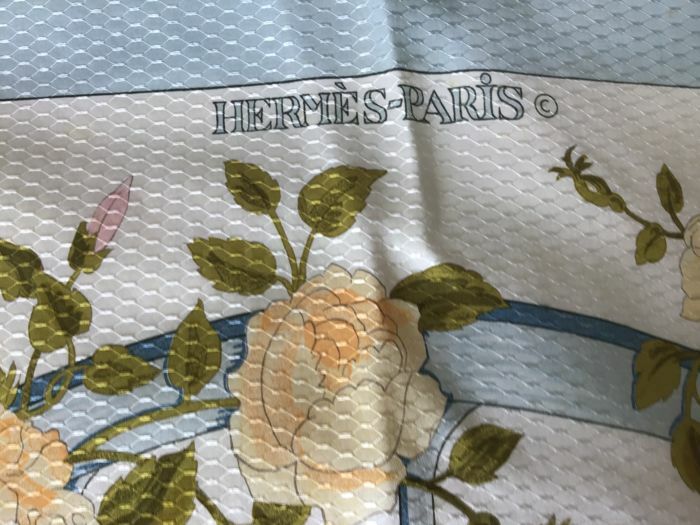 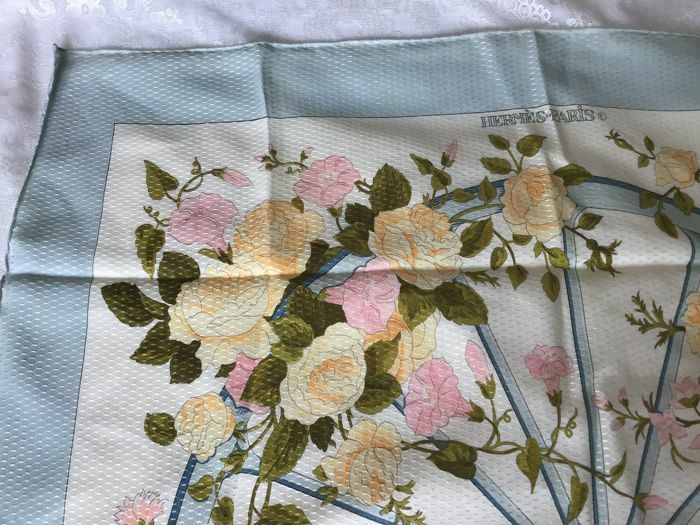 A unique and rare Hermès scarf.